Doug Silverman is an expert in event driven investing. In 2008, he established Senator Investment Group in New York with Alexander Klabin, an expert in private investments, value investing, distressed debt and special situations. Before founding Senator Investment, Silverman and Klabin worked at York Capital Management. Senator Investment Group has around $3 billion in assets under management. Recently, Senator Investment released its latest holdings to SEC in a 13F filing. As of December 31, 2011, the company’s 13F portfolio has a total value of $3.4 billion, up from $1.8 billion for the end of September last year. The total number of positions was also increased from 35 at the end of the third quarter to 53 at the end of December. Senator Investment Group opened many new positions during the fourth quarter. 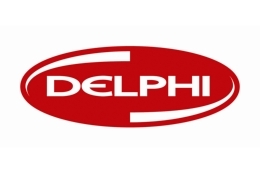 For example, it disclosed a new $116 million position in Delphi Automotive Plc (DLPH) over the fourth quarter. The stock is quite popular among the hedge funds tracked by us. As of December 31, 2011, there were 40 hedge funds with DLPH positions in their 13F portfolios. Besides Senator Investment, John Paulson’s Paulson & Co also had over $1 billion invested in this stock. DLPH posted strong fourth-quarter 2011 results. Its EPS was $0.88, heavily beating the analysts’ consensus of $0.56 per share. Part of the extra earnings is driven by its low tax rate of 8.4%, which contributed an additional $0.17 EPS, but there was still about $0.15 unexpected EPS driven by the company’s operations. However, such strong performance seems to be a one-time event. Nearly half of the company’s 2011 launches were scheduled for this quarter. Moreover, the company achieved flawless operational execution and had super-high utilization rates, which are rare in the auto industry. Therefore, we think it does not make sense to model this forward. Despite that, DLPH still has strong upside potential. Analysts expect the company’s earnings to grow at over 40% annually, according to Zacks. However, we don’t think that is realistic and such high growth expectations have not been reflected in its price either. Though it was already up 48.56% since the beginning of this year, the stock is still cheap right now. DLPH’s current P/E ratio is only 9.17 and its forward P/E ratio is 7.67. Another new position opened by Senator Investments over the fourth quarter was Valspar Corp (VAL). The fund did not report owning any shares of VAL at the end of the third quarter. As of December 31, 2011, the fund disclosed to own $100 million worth of VAL stocks. VAL was also quite popular among hedge funds. There were 21 hedge funds with VAL positions in their 13F portfolios at the end of last year. For example, Ken Griffin’s Citadel Investment Group also had $44 million invested in VAL. The company is faced with growing raw materials cost and some uncertainties in Europe and Asia. The management team of Valspar recently raised their expectations for the raw materials cost inflation from mid single digits to mid to high single digits. The management team is also concerned about their business in Europe and Asia. Volumes in China continued to be weak in the first fiscal quarter of 2012. Due to the raw material cost inflation and the current slow growth in Europe and Asia, we think investors should avoid the stock at this time. The stock has a 2012 forward PE ratio of 15 and is expected to grow its earnings by 10%. We don’t recommend Valspar but we think it is a better pick than Sherwin Williams (SHW) which trades at a forward PE ratio of 18 and has similar EPS growth expectations. A few other large new positions opened by Senator Investments include BP Plc (BP), E Trade Financial Corp (ETFC), and Sunoco Inc (SUN). Senator had at least $80 million invested in each of these positions. We do not like SUN as it seems to be overvalued. We are not bullish about ETFC either. Its forward P/E ratio of 13.67 is at a premium compared to 12.46 for the industry average. However, we like BP a lot. Investors are still staying away from this stock because of the uncertainty of oil spill legal claims. Last Friday BP removed the biggest hurdle and settled with thousands of individuals for an estimated $7.8 billion. After the settlement BP said it will not have to increase the $37.2 billion it set aside to cover spill related costs and claims. This is great news for BP because it reduces the uncertainty a lot. BP’s current P/E ratio is only 5.93, and the stock is trading at a 20% discount to ConocoPhillips (COP) and Chevron (CVX) based on 2012 expected earnings. BP also offers a 4% dividend yield which is higher than its peers. Billionaire Jim Simons’ Renaissance Technologies had $98 million invested in BP at the end of December (see Jim Simons’ top stock picks). We are bullish about energy prices and believe that investors should at least have a small position as a hedge against further increases in oil prices. BP is a somewhat risky bet but the stock is cheap enough to justify that risk.